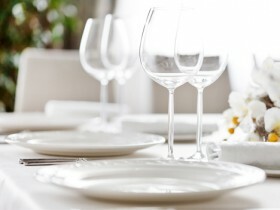 Harden's Guides have been compiling reviews of the best restaurants in Newcastle Upon Tyne since 1998. 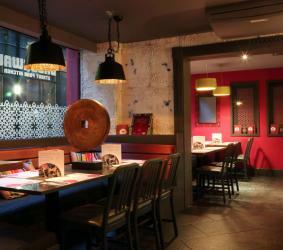 Hardens guides have spent 15 years compiling reviews of the best Newcastle Upon Tyne restaurants. 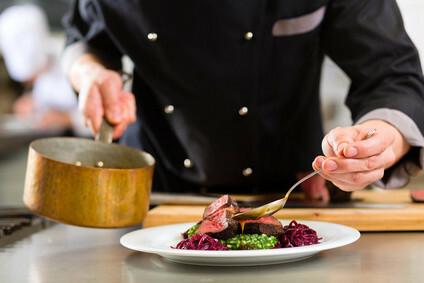 On Hardens.com you'll find details and reviews of 107 restaurants in Newcastle Upon Tyne and our unique survey based approach to rating and reviewing Newcastle Upon Tyne restaurants gives you the best insight into the top restaurants in every area and of every type of cuisine. “Head and shoulders above your ordinary curry house” – with “palate-zinging” but also “delicate and original” dishes – this eleven-year-old street food pioneer near the Theatre Royal (with an offshoot in Jesmond) is a “perfect location for a night on the Toon”. “Even the mocktails are fantastic!”. 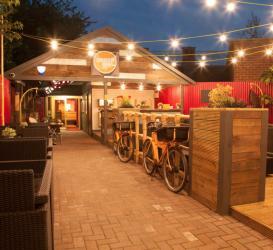 The home-style Indian street food can be “out of this world” at this quirky, colourful Jesmond sibling to the city-centre HQ, and preferred to the original by some; fans can’t get enough – and “even get take-outs from here now” (well it is named after Bombay’s proto-Deliveroo lunch-delivery men). “In an old signal box joined with an old carriage” – this quirkily located Indian comes heartily recommended by a small but enthusiastic fan club. “Still ranking as the best overall restaurant in town” for many reporters – Terry Laybourne’s “consistently excellent” flagship – in several guises and at different addresses since 1988, and still one of the most commented-on destinations in town – “delivers every time”, with “exciting and appealing” brasserie-style cuisine and “staff who take a personal interest in customers”. “It’s as good for a business lunch, as an evening dinner or Sunday lunch”. Brothers Roberto & Walter Pani opened their “lovely” and “buzzy” favourite in 1995 – “a great-value Italian venue which rarely disappoints,” offering a “varied menu of high-standard” Sardinian and Italian classics. 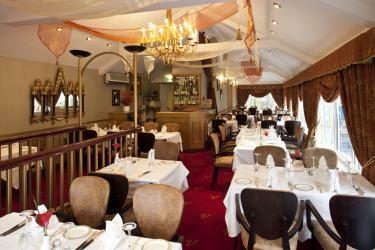 “Staff are very motivated”, while last year’s “successful refurbishment makes it brighter inside”. For “an outstanding all-round gastronomic experience” most reporters continue to acclaim Kenny Atkinson’s converted sixteenth-century former merchant’s townhouse on the Quayside as Newcastle’s No. 1 dining destination. “Fun and delicious amuse bouche” accompany the “top class taster menu (unpredictable and beautifully prepared)” at Dave Coulson’s stylish venue in Jesmond, but there are also a wide variety of à la carte and prix fixe offerings from which to enjoy his deft modern British cuisine. “You’re always welcomed back like long-lost friends” at this “reliable and fun” three-storey operation tucked away in the centre of town. The food is “consistently good” from a predominantly Italo-Mediterranean menu (although there’s the odd Thai or North African dish), but the stars of the show are the “wonderful staff” – “and children are adored, especially if they’re good eaters!”. “It’s always busy but that only adds to experience” at this “cheap ’n’ cheerful”, “fantastically buzzy” Italian diner in Jesmond (where there are often queues). “Lovely food and fantastic value for money” ensure high loyalty amongst fans (“I’m still eating here 30 years later”). These are the top restaurants in Newcastle Upon Tyne based on reviews by Hardens users.